Agnes is an accounting professional with over 13 years of experience, possesses multiple skills covering many financial areas such as fiscal laws, cost control principals, financial statements, budgeting, auditing practices, taxation, economic regulations and fiscal policies. Agnes excel in strategically performing all aspects of accounting operations, and she demonstrated success in collaborating with peers to achieve top performances. Her skills include and not limited to an expertise of accounting tools such as MS Excel, SAP, Navision, Visma Spcs 2000, Oracle, Cognos, Basware, and Fortnox. 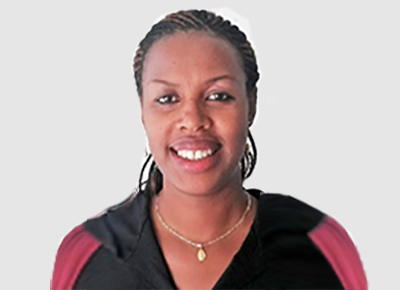 Native of East Africa (Burundi), Agnes is a Swedish citizen and lives in Stockholm, where she runs her own business, Kazoza Redovisningsbyrå, providing accounting services to small and medium businesses. Prior to founding Kazoza Redovisningsbyrå in 2014, Agnes worked as account associate and finance controller for various companies including ISS Facility Services AB. Agnes joined biziSol as Chief Finance Officer and board member in June 2016. She holds a M.Sc in Business and Economics with focus in Accounting and finance.